We are a commercial plumbing contractor firm based in Adelaide, South Australia. Our primary areas of expertise are in the design, installation and maintenance of commercial plumbing systems associated with commercial construction and facility management. We have the capability to not only service within the greater Adelaide city but also far outer regional areas of South Australia. It is our objective to always exceed our client’s expectations, to over-deliver on a project’s brief, provide prompt effective and efficient service and produce an all round positive experience for our customers and industry peers. We believe in creating long-lasting relationships with organisations and individuals we do business with. Completed in July 2018, this multi-storey application comprised 52 apartments over 7 levels. Fully vented modified sanitary drainage was utilised together with the use of a Raupiano acoustic drainage piping system. The domestic water is supplied via steel panel holding tank and dual booster pump-set. Planning early on in the construction phase for the installation of services around a car stacker pit and a complexity of structural elements was critical on this project. Completed in April 2018, this office headquarters facility located in Tonsley South Australia was a design & construct contract that required significant forward thinking from project management. Constant collaboration with the project’s key stakeholders was vital to ensuring that we delivered to expectation. 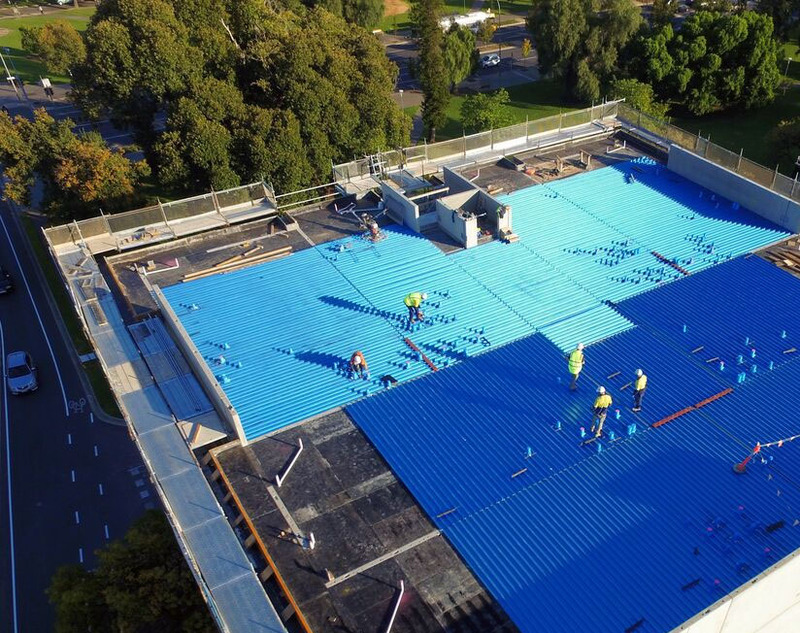 Completed in August 2018, a medical facility base build & fitout application. Compliance around warm water pipework and reducing any risk of legionella was of upmost importance to this client. Coordination with health guidelines and speciality contractors during construction ensured a compliant outcome. Completed in February 2019, the new state of the art training and amenities facility for the Sturt Football Club, located beneath the existing Jack Oatey Grandstand and complete refurbishment of the Harry McKay Grandstand. Technicalities with sewer drainage design and working around an existing grandstand and sub-structure were experienced, with significant changes to design required to achieve the right outcome. Our strong focus on quality means we never compromise on what is expected to be produced and delivered. Our staff have extensive experience in plumbing design and solutions, general plumbing maintenance, commercial construction plumbing and project management. The primary areas we focus on include complete commercial plumbing, industrial plumbing, fire protection services, civil stormwater and drainage, heated water systems and other related hydraulic services. It is our objective to add-value to projects through experience, critical thinking and robust usable systems. Our reputation as one of the most respected up and coming commercial plumbing contractors in Adelaide is something we take pride in and is a reflection of our commitment to the trade and to understanding each of our client’s needs and requirements. At Connekt Plumbing, we’re always striving to be better than who we were yesterday. A forward thinking approach that is influenced within everything we do. For a full list of our services and capabilities, including past feature projects and service competencies, we invite you take a look at our Construction & Service sections of the website.